Pippa Middleton Denies Meghan Markle Wedding Invite, Fears Prince Harry’s Girlfriend Will Steal Spotlight? Pippa Middleton knows what it’s like to have someone steal the spotlight at a wedding – in part, because she herself did exactly that at her own sister’s wedding. Lest some of you have forgotten, Pippa famously stole the thunder at Kate Middleton‘s wedding by wearing *that* dress, the one that all the tabloids and publications were talking about for weeks on end after the wedding was over. In fact, major publications spent more time covering Pippa’s dress than Kate’s actual wedding, a fact that did not go unnoticed by the royals or Kate. Since then, Pippa’s been taking a much more low-key role in her relationship with the media and publicity, with exceptions every now and then. But because of her history at thunder-stealing, she understands how easy it is for attention at weddings to drift to someone other than the bride – and in this particular circumstance, it’s almost a given that it will happen to her. According to recent reports, Pippa Middleton is worried that inviting Meghan Markle, Prince Harry’s beau, to her wedding will shift the attention away from her wedding and onto Meghan. As we saw a few days ago, Meghan Markle attended Prince Harry’s friend’s wedding in Jamaica, and all anyone in the media cared about the next few days was Meghan. And unfortunately, Pippa Middleton is clearly a lot more attention-hungry than Harry’s friends (who are reportedly generally down-to-earth), which means that she’s much less likely to want Meghan at her wedding. According to the same source, Pippa is now employing a “no ring, no guest” policy which will ensure that the only people who attend her wedding will be guests and their married spouses – which would essentially eliminate Meghan. However, being that it’s Prince Harry we’re talking about, you think he wouldn’t make his own rules on who he could bring? Can you imagine him NOT bringing Meghan Markle to his own sister-in-law’s wedding, given that he took her to a friend’s wedding? Kate Middleton Afraid Prince Harry’s Gorgeous Girlfriend Meghan Markle Steals Spotlight – Worried She’ll Be Forgotten! Camilla Parker-Bowles Slams Prince Harry’s Girlfriend Meghan Markle: Doesn’t Want Another Celebrity In The Monarchy! Prince Harry & Meghan Markle Engagement Announcement Anticipated At Sandringham: Gold Jewelry Gift Suggests Christmas Proposal? Meghan Markle Banned From Prince Harry’s Christmas, Queen Elizabeth Won’t Break Royal Tradition: Kate Middleton Overjoyed? 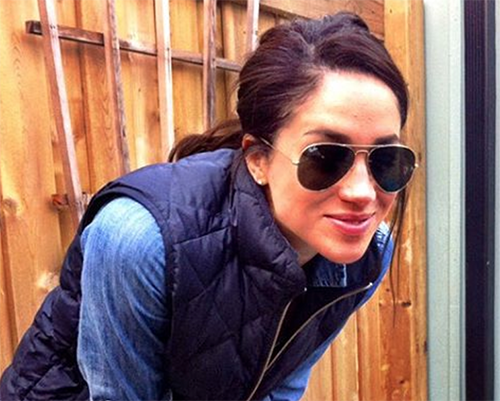 Kate Middleton Meets Meghan Markle: Prince Harry’s Girlfriend Gifts Kate With Dream Journal – Makes Everlasting Impression? Prince Harry Lauded As Natural Father Figure: Prince William Jealous Of Bro’s Playful Charisma And Fun Attitude?